Make your quinceanera memorable with a creative theme. Planning a quinceanera is exciting, especially when it comes time to choose your theme for the big event. Choosing your quinceanera theme is not something you should take lightly: The theme will set the tone for everything from the decor to your hair and makeup. 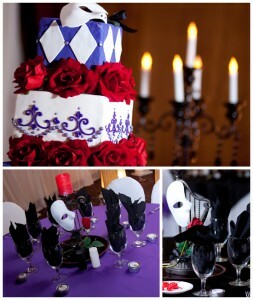 A quinceanera theme can be anything you want. You can have a Hawaiian luau, a garden party, or a 1920′s ball. The possibilities are endless! As long as the quinceanera theme you choose reflects your personality and style, it’s going to be the right theme for you. Those who already know what type of quinceanera they want will have an easy time deciding their quince theme. For those who haven’t made up their mind, browsing magazines and the internet is a great help. Once you have decided on the theme, planning your special evening will become much easier. The decoration, music, food, and the rest should be consistent. Do a little research about the theme to create the mood for your party. Since all eyes will be on you, your makeup and hairstyle are very important. Orange county hair stylists and Orange County makeup artist are skilled at creating the look in keeping with your theme. Of course there are as many hairstyles as there are themes, so let a professional from hair salons in Orange County help you. An elegant up-do for a princess team. Flowers on your hair for a garden party. Cascading curls for a romantic look. A pale ivory face with well-defined red lips for a 20′s look. Glamorous makeup with lush eyelashes for a Hollywood look. Natural makeup for a casual party. Orange County makeup artists and Orange County hair stylists are experts in creating different styles. Your quinceanera look should be different from how you daily look. After all, it is a very special occasion and you should look extraordinarily lovely on this special event. Our professionals work in all areas of Orange County, Palm Desert, Riverside and Palm Springs. Call us today for a FREE consultation at760.989.3774!